When you hear the words "carb-cycling" you may think: That's for the serious athletes and bodybuilders, there's no way I could ever do that - it's just too complicated. Guess again. 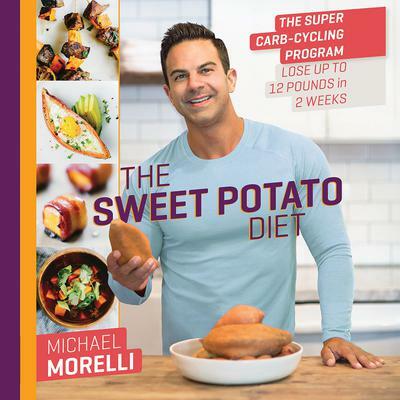 In The Sweet Potato Diet, popular fitness guru Michael Morelli removes all of the guesswork and takes away the fear from traditional carb-cycling by simplifying it down into a step-by-step eating schedule where you'll never have to weigh your food, and there's absolutely no calorie counting ever. Don't worry, you don't need to be a gourmet chef to do well on this diet, which includes 45 step-by-step, easy-to-follow recipes that will leave your taste buds happy and your stomach satisfied. The Sweet Potato Diet arranges recipes in convenient sections by course, even some sweet treats and decadent desserts which you can enjoy guilt-free on your new diet. It really works by supercharging your metabolism, promoting lean muscle gains, and optimizing fat burning by working with your body.